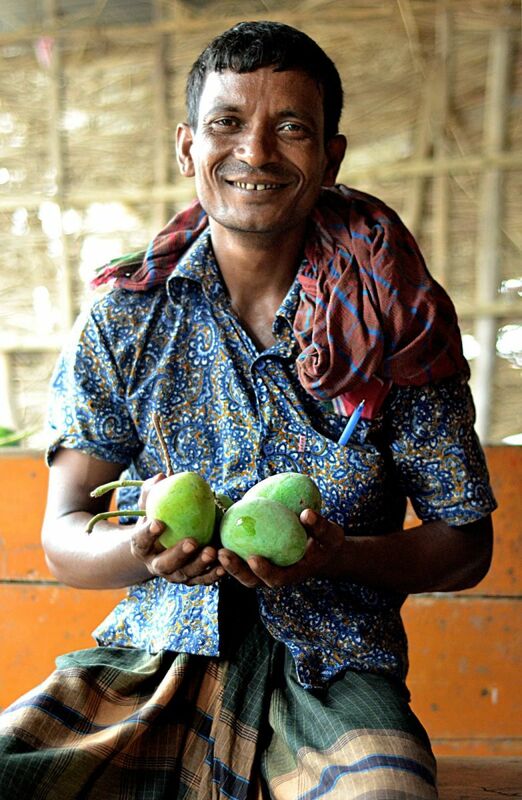 Mangoes, locally known as “aam” in Bangladesh, are widely known as the “King of fruit” throughout the world - and why not! Mangoes are among the most delicious fruits in the world, with their rich taste and exotic varieties! 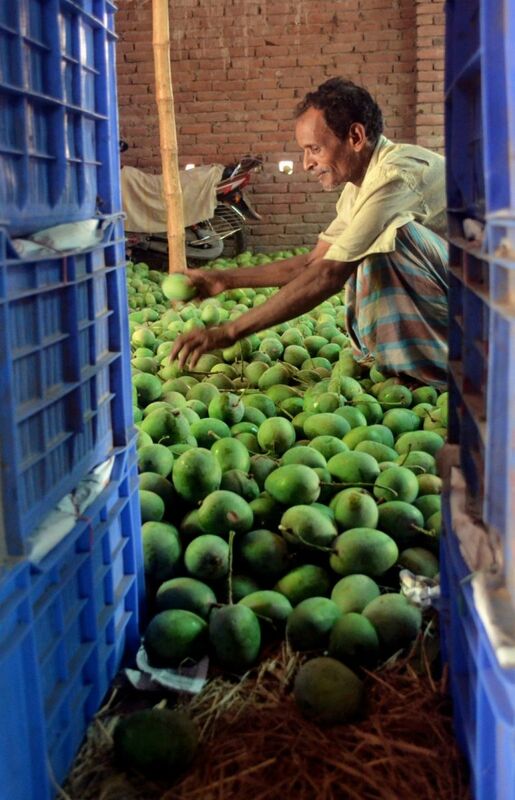 And in Bangladesh, summer season may bring many woes for us Bangladeshis (such as high temperatures, suffocating humidity and intermittent load shedding) but one of the greatest pleasures that it brings is the season of mangoes! 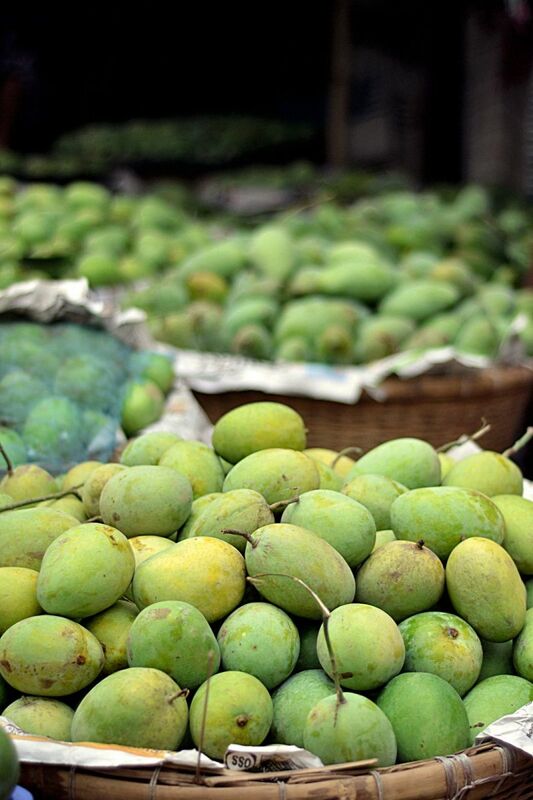 The mango season usually begins around the Month of June and lasts till early August. 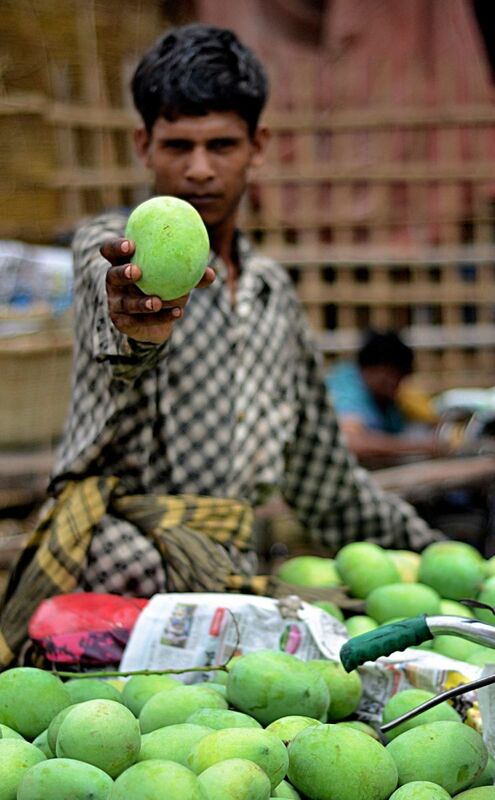 During this mango season, all Bangladeshis enjoy the different varieties of delicious mangoes. 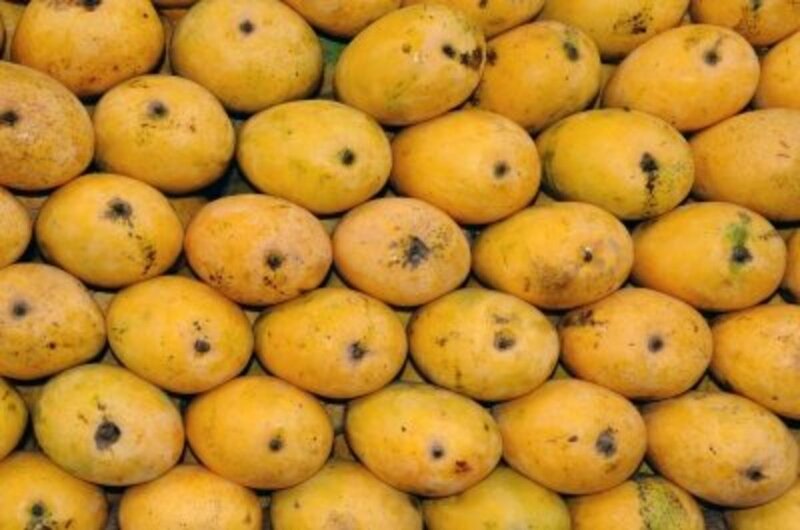 The name mango came to be derived from the Tamil name of man-key or man-gay, which was adopted by the Portuguese as manga when they settled in western India. It was not until about 1700 when the mango tree was introduced to the Western Hemisphere, when it was planted in Brazil. 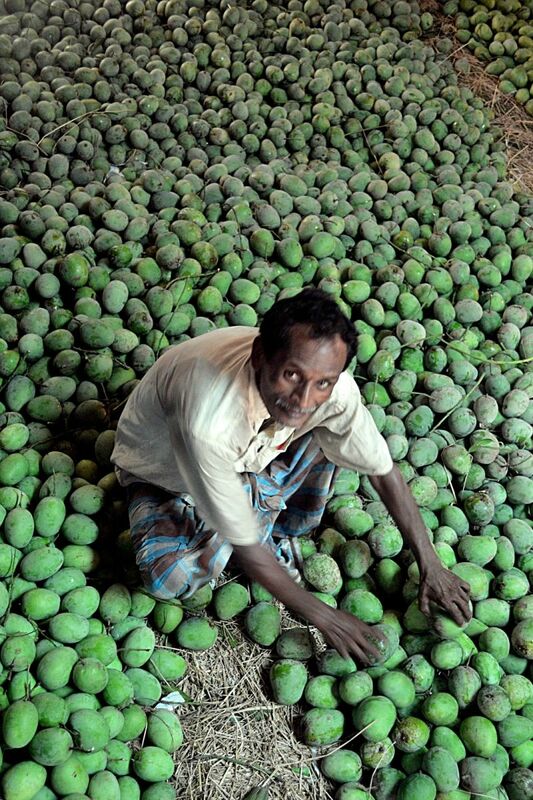 Bangladesh generally produces about 800,000 metric tons of mangoes on 51,000 hectors of land. 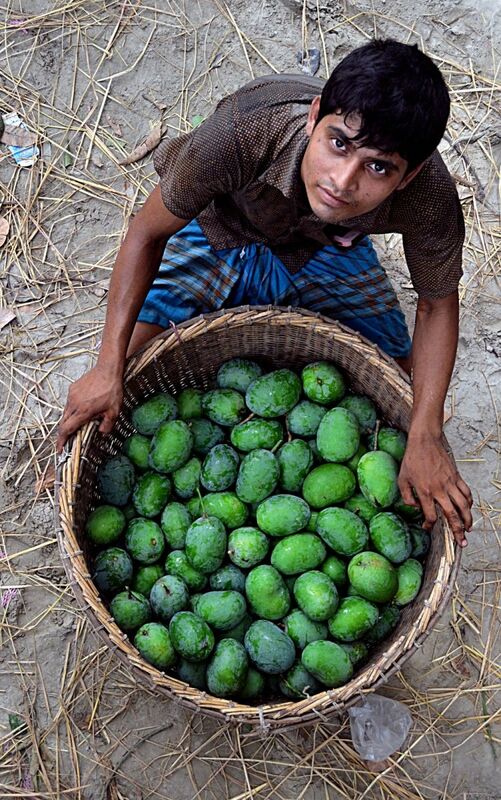 Chapainawabganj alone produces almost 200,000 tons of mangoes on 23,282 hectors of land. 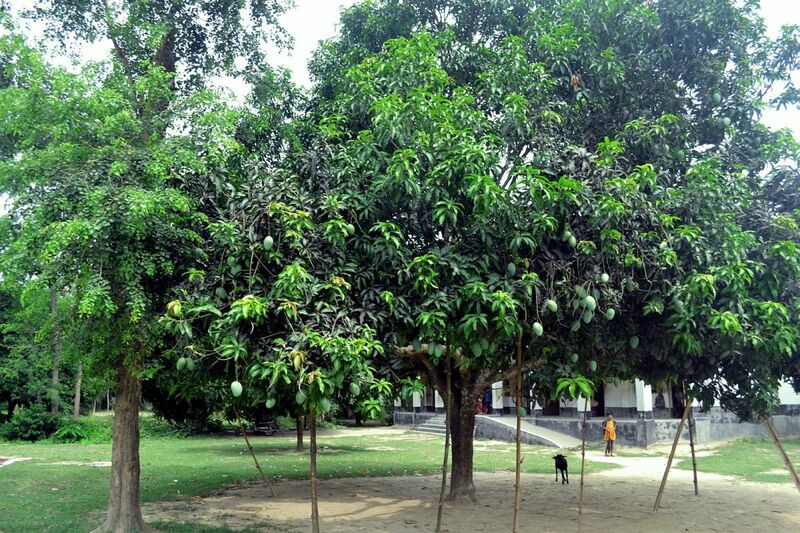 Chapainawabganj has about 50,000 mango groves, and in them various types of mangoes are grown in 18,000 trees. 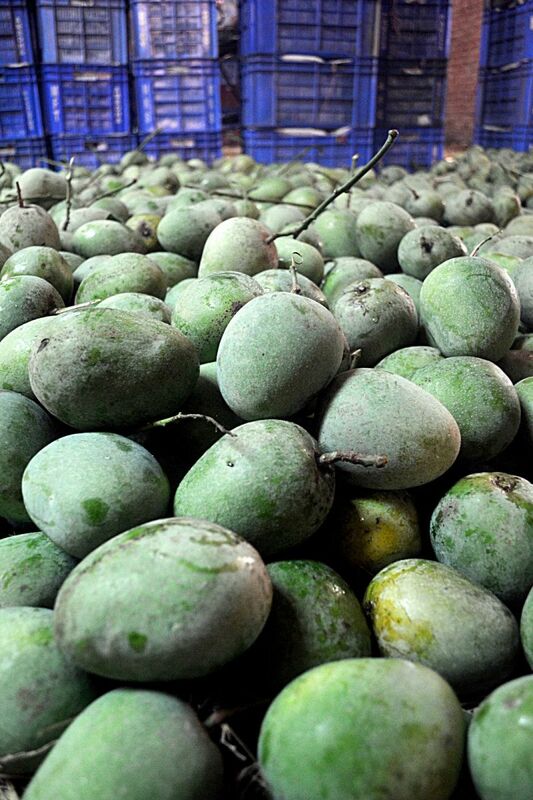 In 2011 185,000 metric tons of mangoes were grown there on 23,070 hectors of land. However, the annual yield depends on many different factors and therefore the yearly yield is not always constant. The present production is not very high compared to that of other mango growing countries. 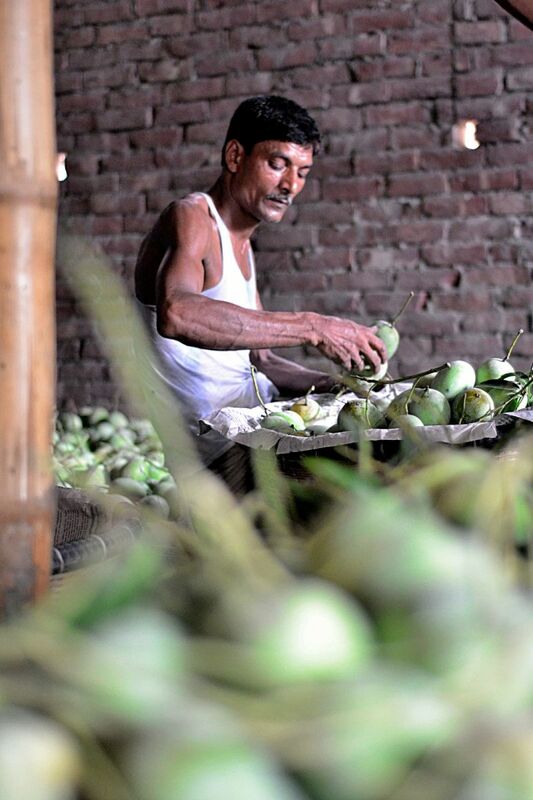 Rajshahi, Chapainawabganj, Nawabganj, and Dinajpur are the main mango growing regions of Bangladesh. The more popular and widely cultivated mangoes are Langda, Gopalbogh, Himsagar, Khirsapat, Ashhwina, Khisanbogh, Kuapahadiand Fazlee. TRIP TO THE MANGO REGIONS! 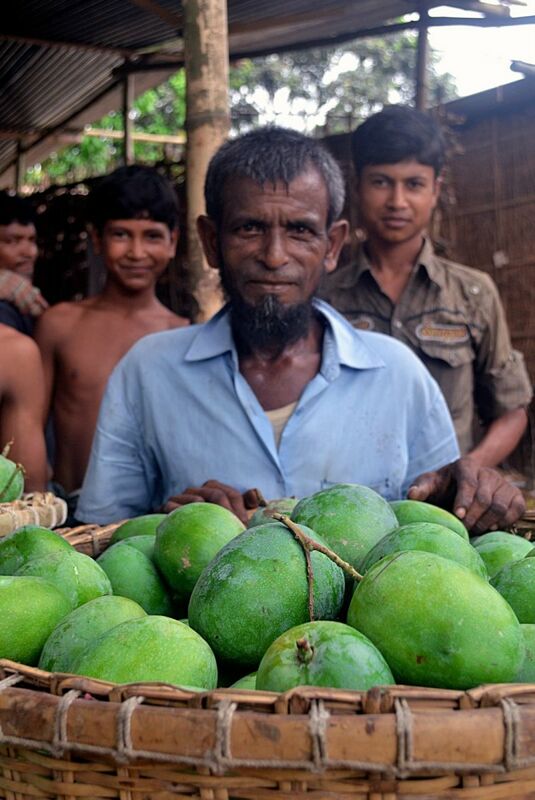 I have had a wish to visit the mango growing regions of Bangladesh for a long time. However, for one reason or other, I never visited any such region during the mango season till this year. An opportunity finally came up when the Photography Group TTL: Bangladesh arranged a photography safari to Rajshami in the month of June 2012. I eagerly grabbed the opportunity to tag along with them and have the chance to see the mango orchids and mango bazaars and also buy fresh, medicine free, mangoes by the truckload! Travelling by road from Dhaka to Rajshahi is the preferred mode of travel and NATIONAL TRAVELS LTD arguably runs the best A/C bus services between Dhaka and Rajshahi. Journey at night usually takes about 6-7 hours. The roads to Rajshahi are among the better quality highways of Bangladesh, with fewer potholes and broken roads. Normal A/C room accommodations are available around the range of Tk. 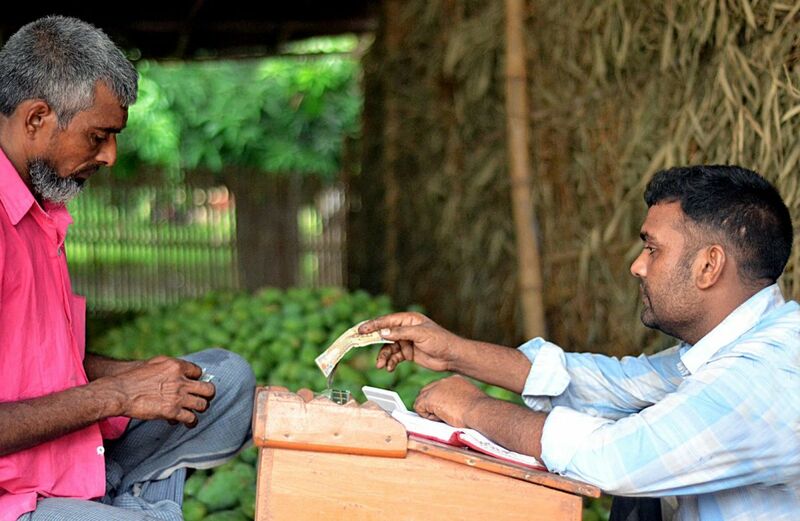 2000 per night in the City of Rajshahi. 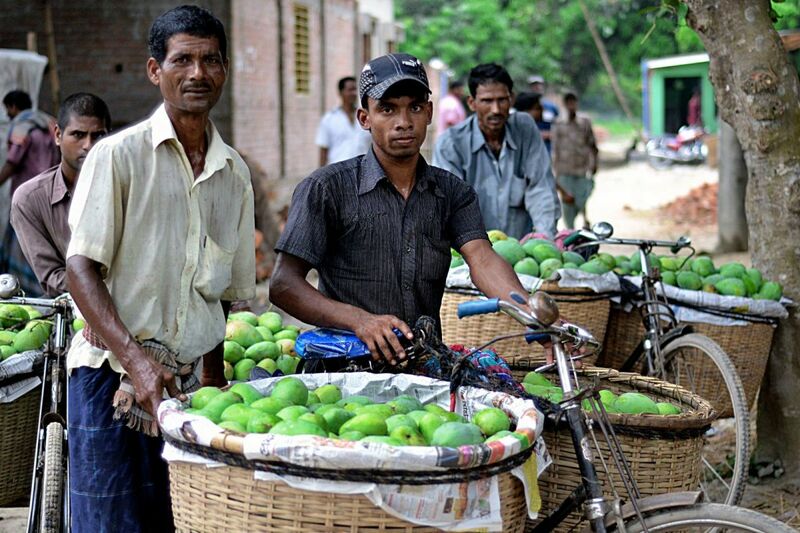 However, be aware that the temperate/humidity in Rajshahi and other mango growing regions during the mango season are generally quite high (Temperature: 32-40 degree Celsius and Humidity: 70-90 percent). Therefore, it is advisable to have loads of drinking water at hand and also travel with caps/umbrellas and wear shorts, etc., on any mango season trips. Ø First of all check the overall appearance and texture of the mango. The texture and color of the skin should be consistent, smooth and even, without blemishes of any kind. 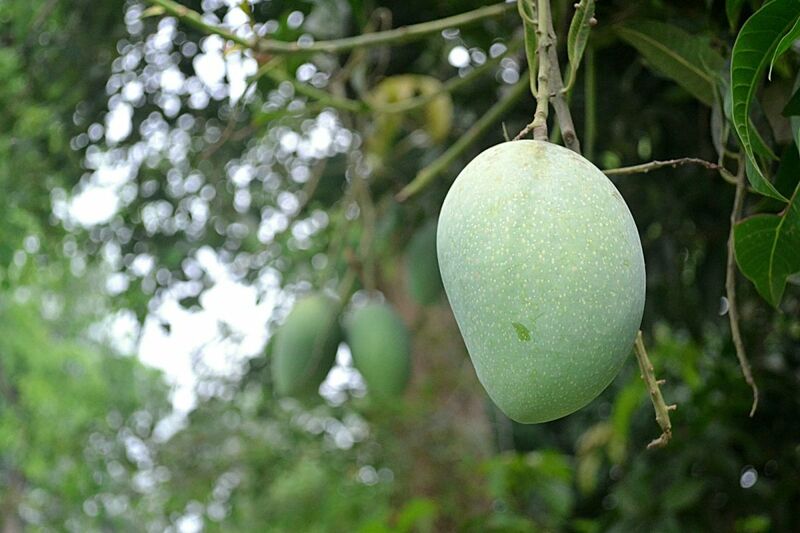 Unripe green mangoes will be the darker shade of green whereas the ripe mangoes may be yellowish bordering towards orange-ish in color. Ø Secondly, bring the mango close to your nose and inhale the scent of the stub of the mango (where it was connected to the stem on the tree). Generally speaking, the stronger the scent, the better the mango. 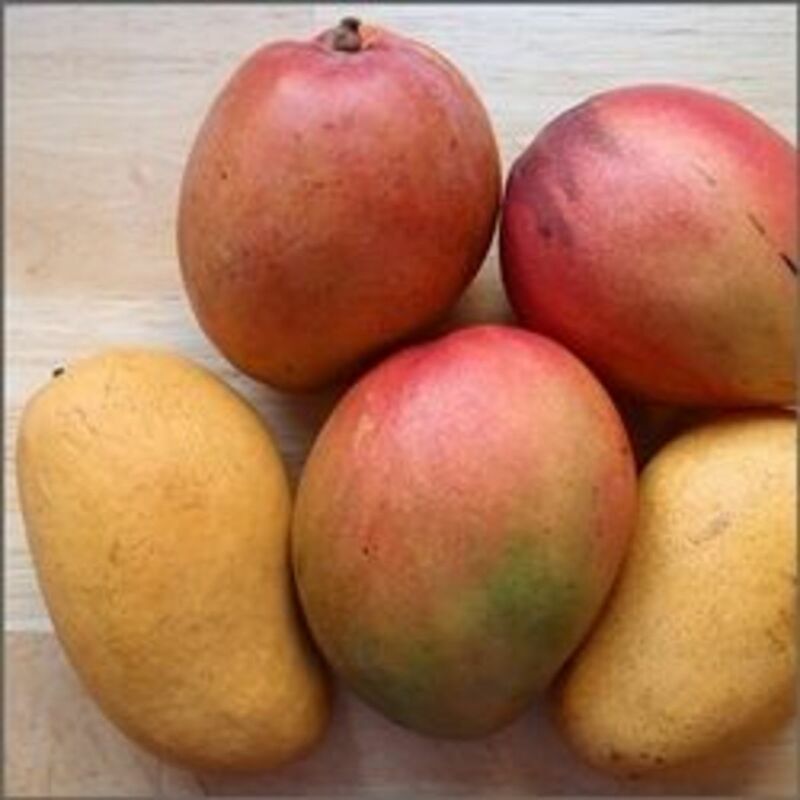 Ø While purchasing, ensure that the mangoes are not too soft or squishy. 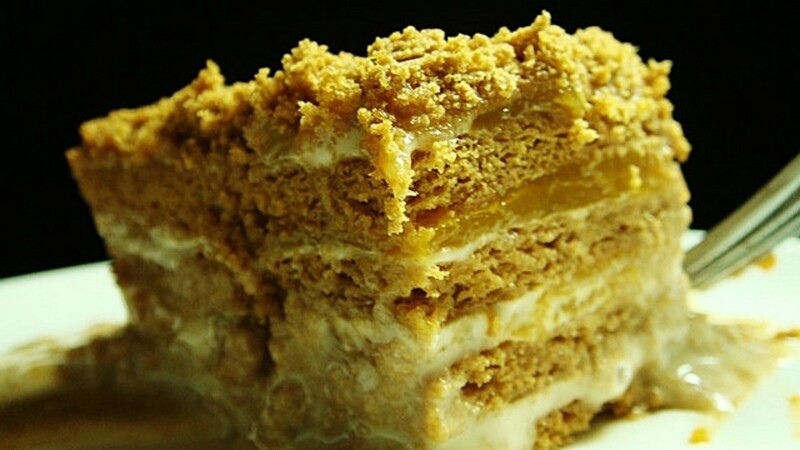 The mangoes should have medium firmness. 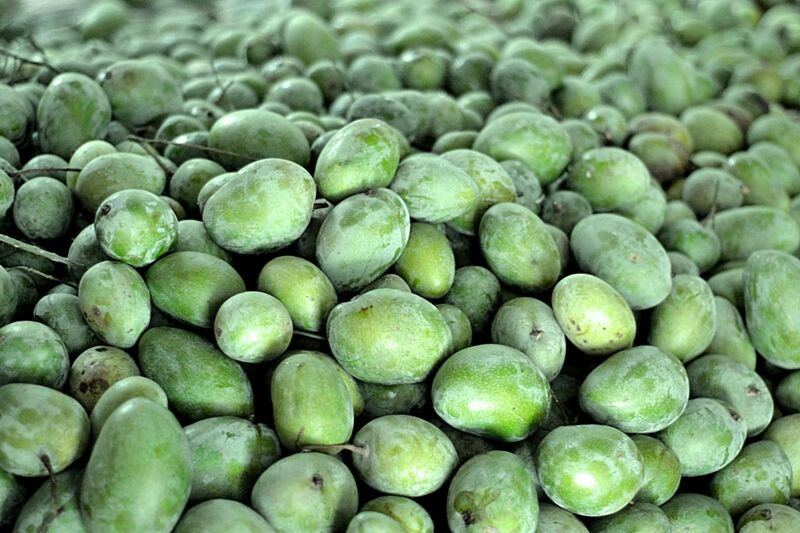 Ø Additionally, it is always better to actually get a taste of the mangoes chosen prior to purchase, as even within a specific variety of mangoes, there still remains differences in quality. 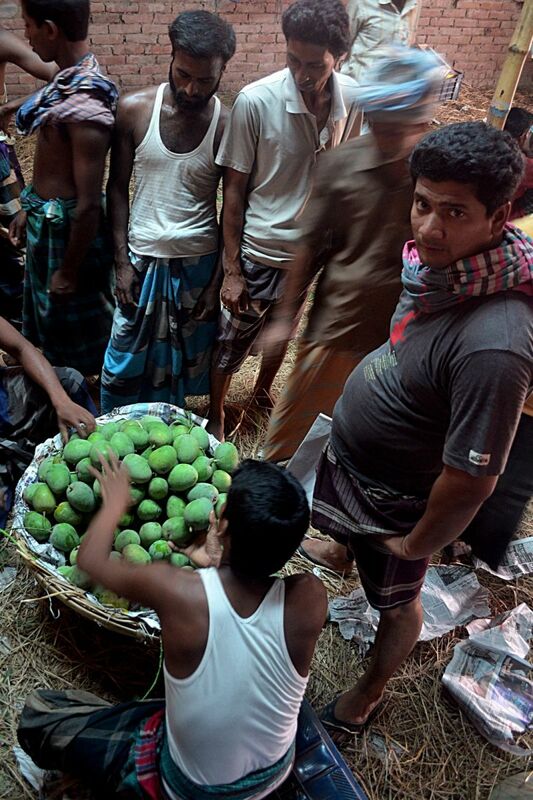 In Bangladesh, the vendors/seller will generally gladly allow you to taste a mango prior to purchase. 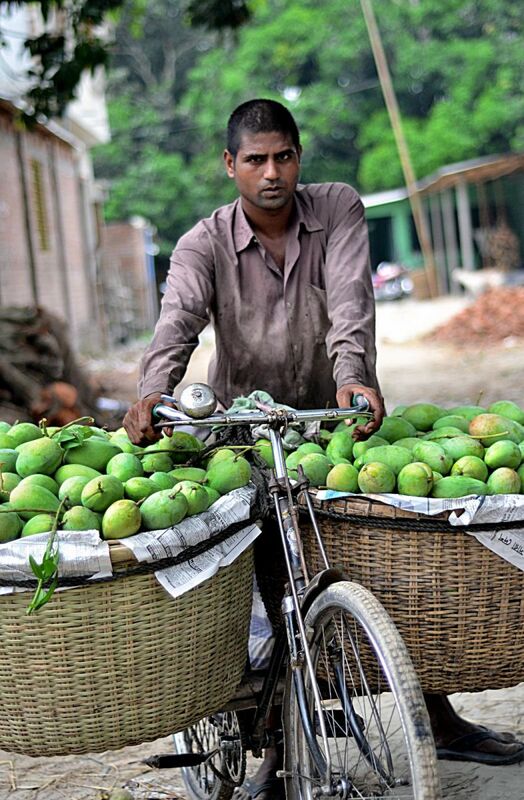 Ø Generally speaking, it is wiser not to buy all ripe mangoes at once, rather its more suitable to buy mangoes ranging from the ripest to the greenest, thereby ensuring that you can have ripe mangoes over a period of a week, as they ripen! In this way, you get to eat the ripest ones on the day of purchase and allow the remaining ones to reach their optimum at room temperature during the week. § Mangoes provide high levels of dietary fiber, minerals, and vitamins. § Research suggests that consumption of mangoes protects against colon, breast, leukemia and prostate cancers. § Rich source of potassium which is an important component of cell and body fluids that helps controlling blood pressure, heart rate, etc. § Great source of Vitamin A and alpha-carotene, beta-carotene, and beta-cryptoxanthin and good source of vitamin-B6 (pyridoxine), vitamin-Cand vitamin-E.
§ 100 g of fresh fruit provides 25% of recommended daily levels of vitamin A. § Consumption of natural fruits rich in carotenes is known to protect body from lung and oral cavity cancers. § Peels are also rich in phytonutrients, such as carotenoids and polyphenols. # A.K.A 'King of fruit' throughout the world. 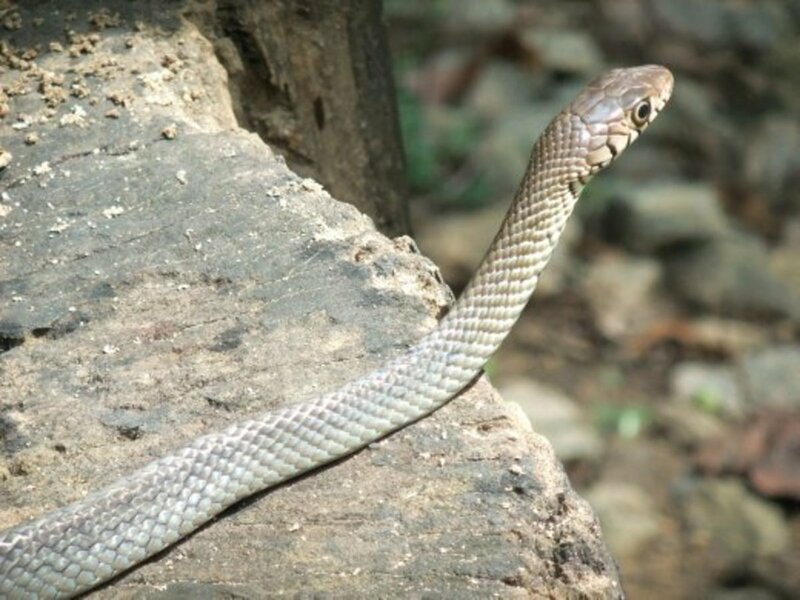 # Its name is derived from 'mangkay' or 'man-gay' (Tamil word). Portuguese adopted name “manga” when they settled in Western India. # a symbol of love (Mango Tree). # Toxic fumes can cause serious irritation to eyes and lungs, if mango wood, leaves and debris is burnt. # Can kill cattle or other grazing livestock if they eat mango leaves. # May contain as much vitamin C as found in an orange. # A Mango stored at 55 degrees will last for up to two weeks. # One of the best sources of beta carotene; they contain 20% more than cantaloupe and 50% more than apricots. Check out some of my other photography blogs! Nice and interesting read. 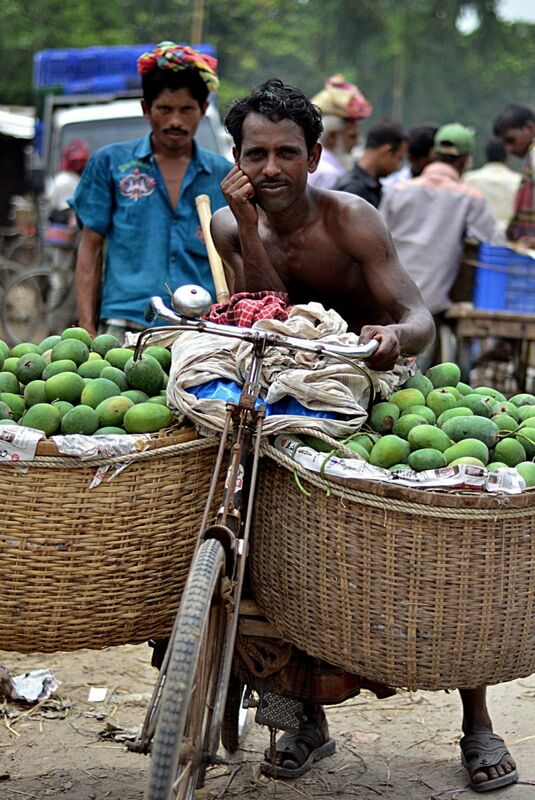 I like the photos of mangoes and the people of Bangladesh. I love this Hub!!!!! What a collection of photos. An amazing culture. With you pictures on can tell the that the people have a heart of gold. And the info on mangoes. Wow! Thank you so much for sharing. Voted up for awesome and interesting. 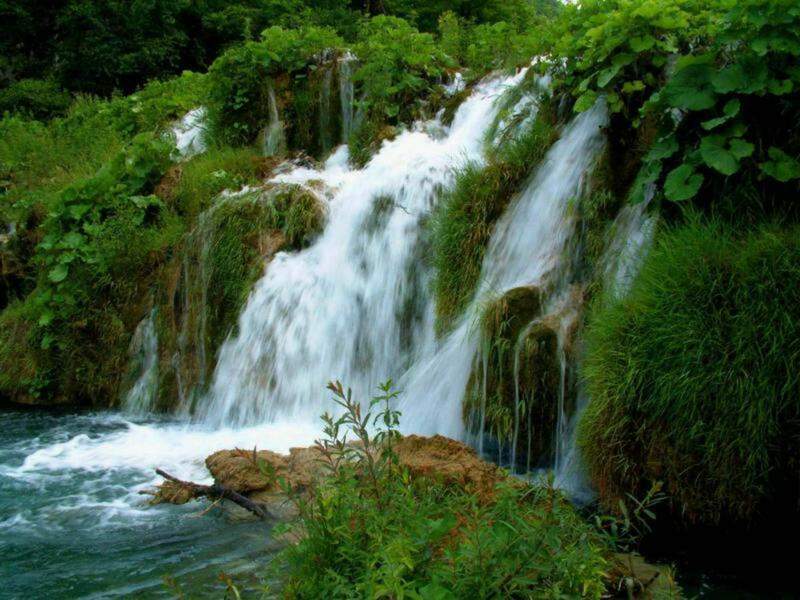 Beautiful hub! I feel like I was transported into the heart of all things mango! Thanks for stopping by Sallieannlovslife and Joe!!! Gland u liked the hub! 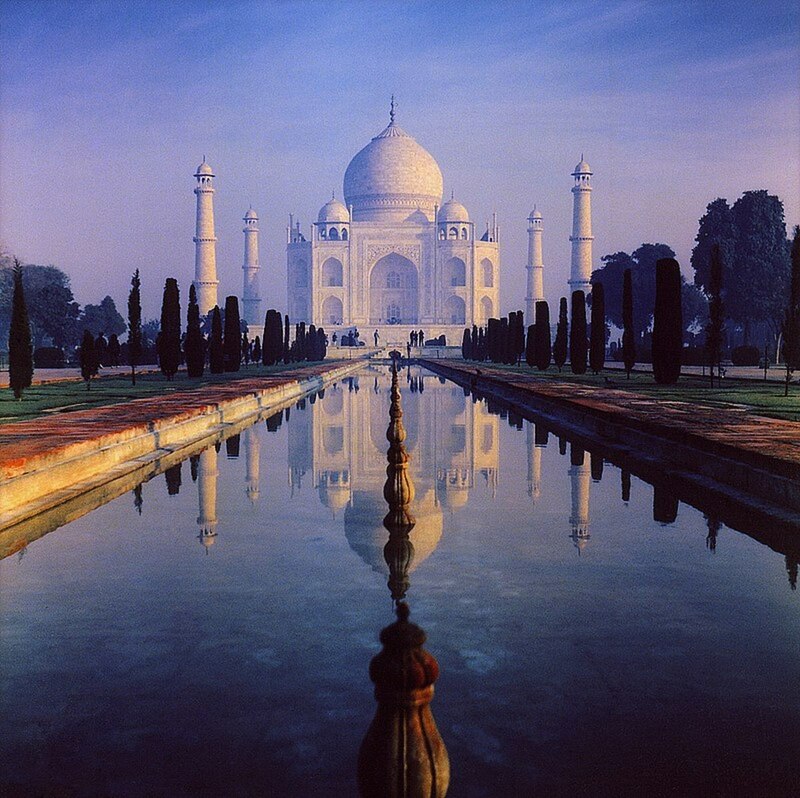 Wonderful pictures and awesome hub! Very informative! I was introduced to mangoes in grade school by my best friend who lived in Columbia and ate them all the time. I have been a huge fan of them and their juicy sweetness ever since. I really love your pictures.